Taken last week after some rain. 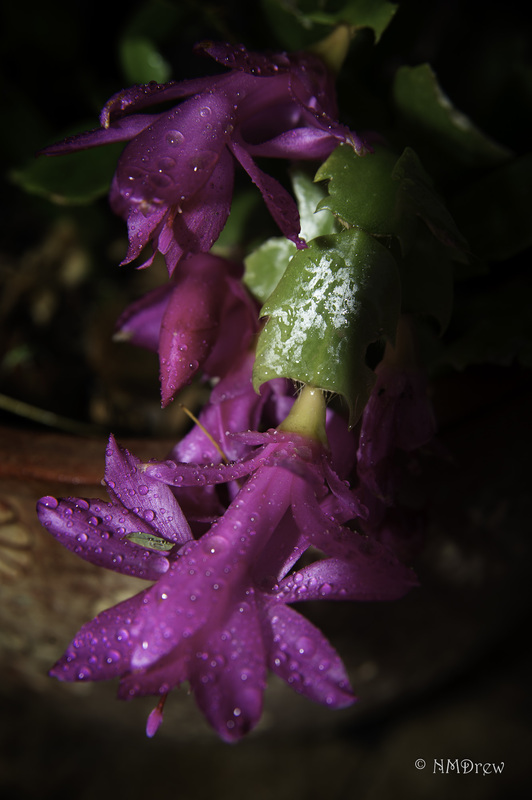 This entry was posted in Glimpses and tagged "photography", Christmas Cactus, green, magenta, Nikon 24-85f 2.8-4, Nikon Df. Bookmark the permalink. Ha! Color is addicting . . . but b&w is sublime. Sometimes!